IDW is about to take the Turtles further than they have ever gone with a new time- travel ling mini-series that is sure to have fans talking all summer long. Created by Kevin Eastman and Peter Laird, in 1984 the Teenage Mutant Ninja Turtles evolved from a cult-hit to a mega-franchise. Appearing in films, television shows, and video games, the Turtles have become a mainstay of comic book culture. The Teenage Mutant Ninja Turtles have faced enemies old and new over the years, but this June they will have to battle against time itself to save the day! Another great way to celebrate the Turtles’ 30th Anniversary, Turtles In Time is an all-new, essential mini-series for fans who just can’t get enough of the heroes in a half shell. Traveling to the farthest reaches of the space-time continuum, the Turtles encounter dinosaurs, pirates, samurai warriors — and a bleak future, should they fail on their quest! 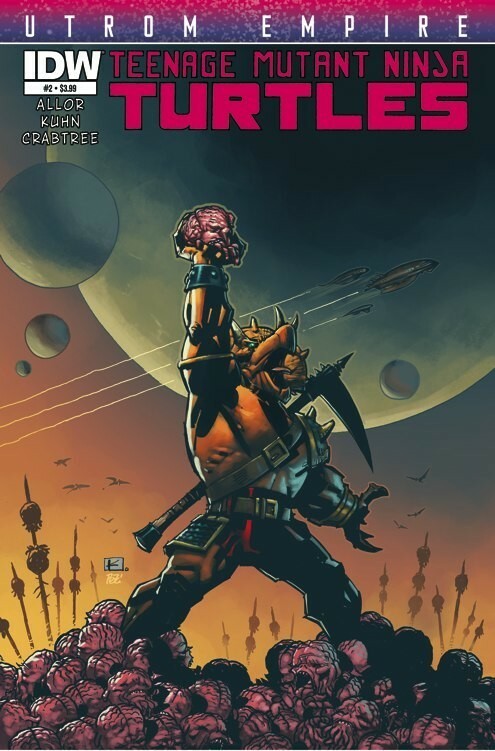 Written by TMNT scribes Paul Allor (Utrom Empire) and Erik Burnham (Secret History of the Foot Clan), each issue features a time-travelling cover by superstar artist David Petersen (Mouse Guard) and interiors by a rotating lineup of different top artists! Issue #1 kicks off with artwork by fan-favorite Ross Campbell, who will also provide art for the issue’s SUB variant cover. 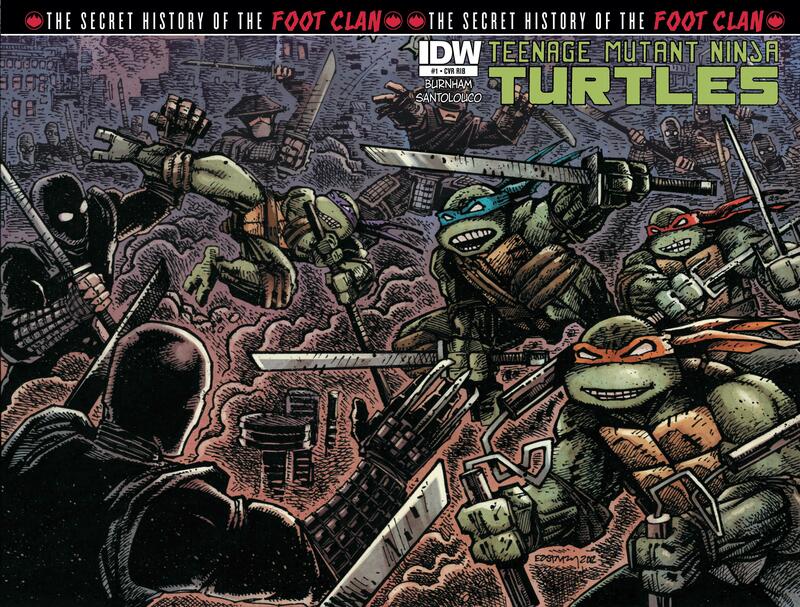 Like the previous IDW mini-series’ before it, ‘Secret History of the Foot Clan’ and ‘Utrom Empire’, ‘Turtles In Time’, will offer a unique story that further enriches the continuity, taking fans deeper into the world of the Turtles in a way only IDW can. Currently appearing in the hit Nickelodeon animated cartoon, Teenage Mutant Ninja Turtles, they will also star in the upcoming Paramount feature film TMNT, produced by Michael Bay. 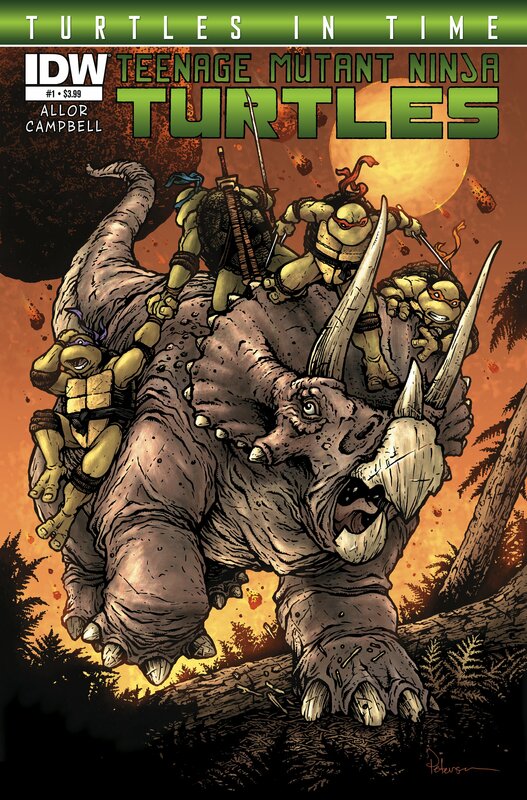 This entry was posted in Comic Books, IDW and tagged Heroes in the Half Shell, IDW, IDW Publishing, Teenage Mutant Ninja Turtles, time travel, TMNT, Turtles In Time. Bookmark the permalink.